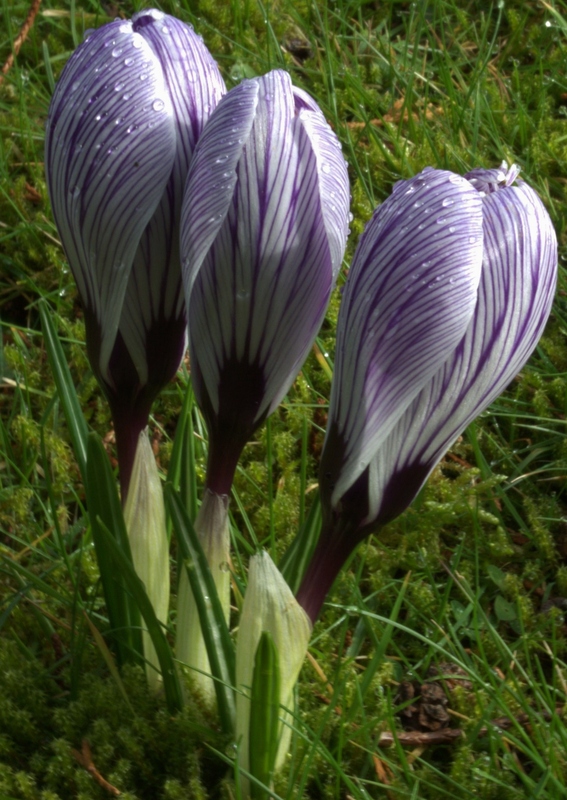 A third wave of crocuses (Pickwick) are now showing off. Gosh. What’s that? On that tree? Looks like a well made nestbox. Rustic and yet chic. The flurry of comments on my recent auricula post was such that I feel obliged to post another picture of this very popular (with me) plant. 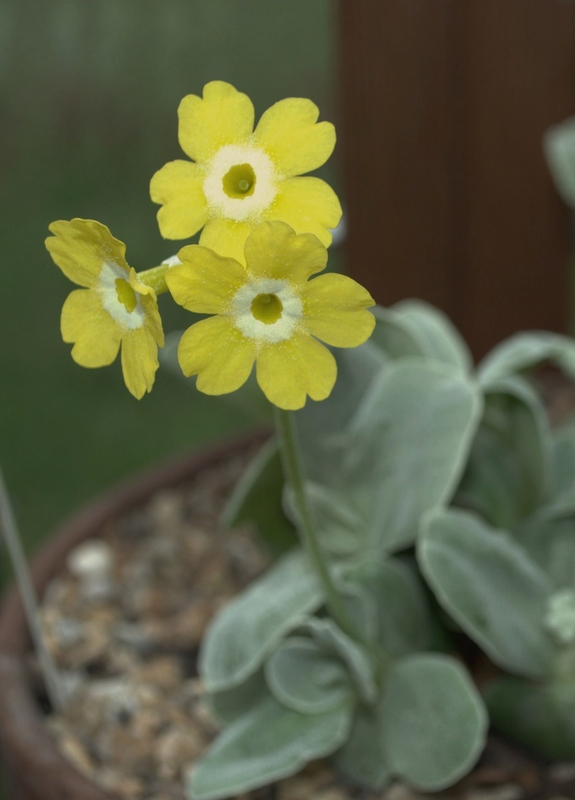 This is a species auricula, Auricula alpina. Being an idiot can be frustrating and tiresome. Yesterday, having returned to the Priory after the weekend, I skipped up the path to the greenhouse. I was looking forward to seeing how my seedlings were doing. Tomatoes – germinated and looking good; tick. Aubergines – germinated and looking good; tick. My half tray of white foxglove seedlings? Ah. These had been coming along famously. Loads of tiny little cute plants. Very pleased with them. 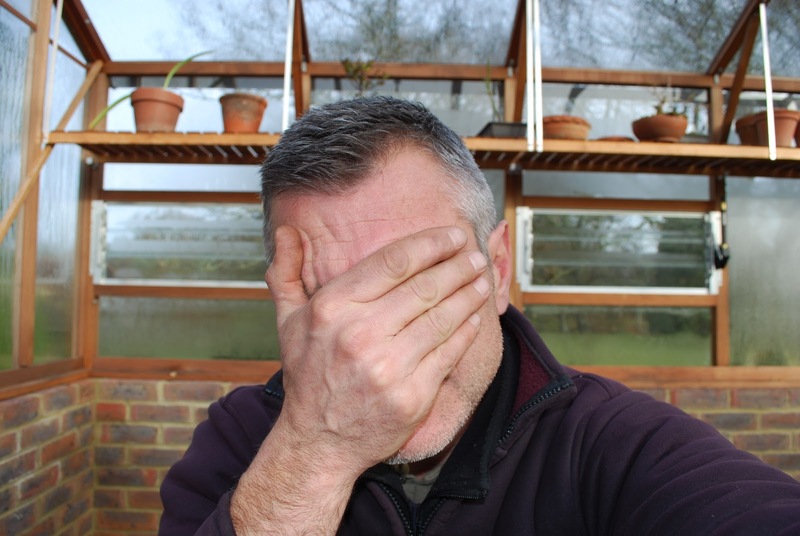 But in a moment of idiocy on Friday, I had plonked them down on the floor right next to the greenhouse heater. When I inspected them yesterday morning, they were all burnt to a crisp. Grrrrrrr. Deep breaths. Relax. Re-sow. I’ve just baked to death dozens of baby foxgloves. I had to start moving some plants out of the greenhouse into the cold frame. The heat that the tomatoes and aubergines crave is also bringing on my rather large (anorak) collection of rhodohypoxis far too early. I have, what? 80 rhodohypoxis plants and about 15 or so varieties. Why do I have so many? Don’t know. What am I going to do with them all? Don’t know. Shouldn’t I get rid of some? Don’t know. 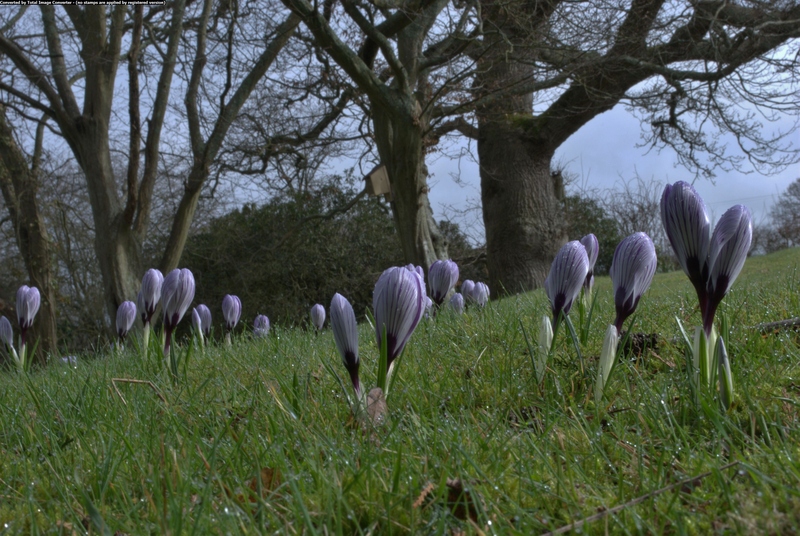 Anyway, they certainly shouldn’t be getting ready to flower in February – so out they went. And as I moved them out I found interlopers. Uninvited and unwelcome house guests. 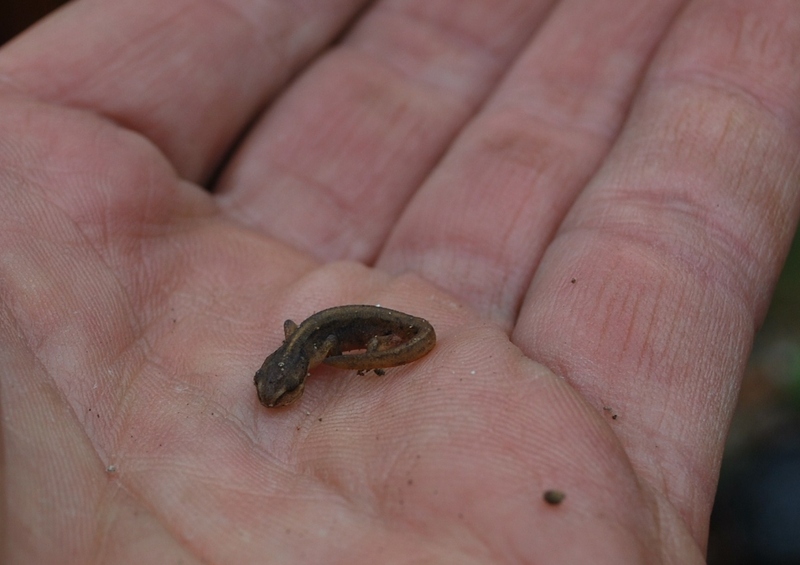 Hiding in amongst the trays and pots – newts! Can you believe it? Creeping into my greenhouse, using up all the heat. Probably turning up the heater a notch or two. Without so much as a by my leave. Half a dozen or more. Newts! It slowed down the rhodohypoxis evacuation operation considerably; I was now having to avoid newt squishing. I’ve set up a new newt-social-centre (upside down seed tray) under the bench in the corner of the greenhouse. 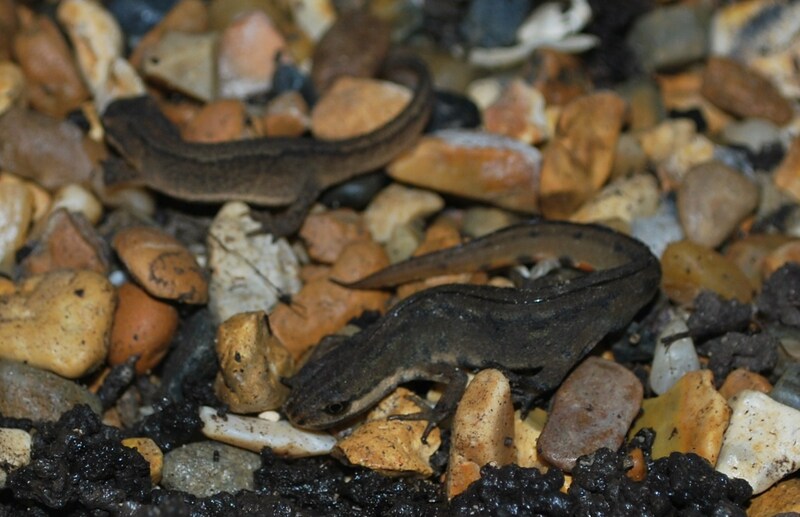 Here they can do whatever it is that newts get up to during the winter. Drink tequila, tell lewd jokes, choir practice. Not getting squashed. Found this very young fella out in the cold frame, so upgraded him to the greenhouse with his pals. Just too big hearted that’s my problem. 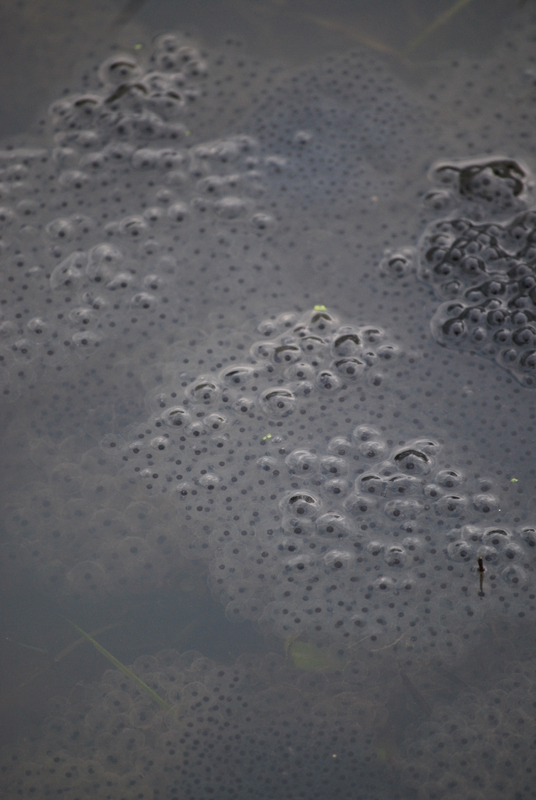 It does mean though that I’ll have hundreds of froglets under my feet again next summer. I love frogs. Always have. When I was a kid, I used to raise them from spawn to froglets in a tank. I would tie lengths of cotton to earthworms and lower them into the morass of wriggling, voracious, sharp toothed (yeah, really) tadpoles. Poor earthworms. Like you or I being lowered alive into a tank of piranhas. What the tads didn’t eat, I could haul out using the cotton thread so that it wouldn’t decompose and foul the water. Goodness only knows where I learnt all this stuff from. ‘Look and Learn’ probably. 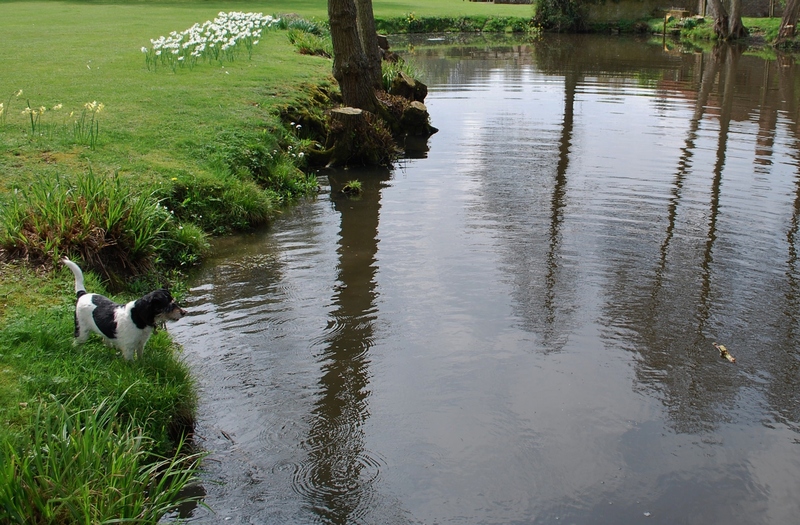 When the tadpoles had grown all four legs and absorbed their tails, I would cycle out to remote ponds in the Hertfordshire countryside and release them. We knew how to have fun in the 70’s. Mowing, strimming and the edging of all the lawns is slowed down considerably during the summer by having to ferry young frogs and toads out of harm’s way. Thankfully I have neither mowed over or strimmed an amphibian yet. I fear though it’s only a matter of time. There are so many at the Priory. Also in residence in the garden is a big old grass snake. Biggest I’ve ever seen. Over two foot, I’d say. It lives in a hole under one of the oaks over on the east pond. I saw it swimming across the pond a couple of times last year. As did my terrier, Solo (her real name). She was furious at it (for reasons only a terrier would understand) and circled the pond trying to bite it. Given that the snake seemed almost big enough to swallow her whole, I thought it prudent to lock Solo in the car. Solo – supervising the East Pond. Spring 2009. I once came across the snake basking in the sun with three or four large intermittent bulges down it’s length. Presumably stuffed itself on my lovely frogs and was now overfull and groaning and moaning and trying to sleep them off. Hope it got indigestion. I try and encourage as many frogs, toads and newts as I can – which makes it that much more difficult to reconcile grass snakes in the garden too. It's all about balance I suppose …. Aren't you lucky to have all that wildlife. The newts are rare in these parts, but plenty of frogs on dog walks. It's difficult not to stand on them! Hi KR/GR, an Alaskan newt?! Who knew? No sign of any of mine now in the greenhouse. But how did they get out? Tunnel? Beautiful garden(s)! I just found a newt today in my greenhouse. Pretty surprising to me because we live in Southeast Alaska. Hi Karen, come over with a bucket. Take as many as you like! Hi Ady – thanks. Cheque in the post. Usual amount. Hi Simon. Bad luck with your basil. What with that and my foxgloves it might just be God's way of telling us to give up gardening and take up crochet. Ah, pants. Good word – which I haven't yet used in my blog. I shall nick it and deploy soon. First person to spot it will be sent a “I saw Dave's Pants first” badge. Great post! Sorry to hear about the foxgloves… i lost a pot of basil seedlings last weekend… i took them out of the propagator in the house, and was on my way to the greenhouse with them… and for some reason i put them down half way there (but not on my usual route)… then conveniently forgot about them for 2 days… resulting in the loss of all of my lime basil seedlings!!! Pants!